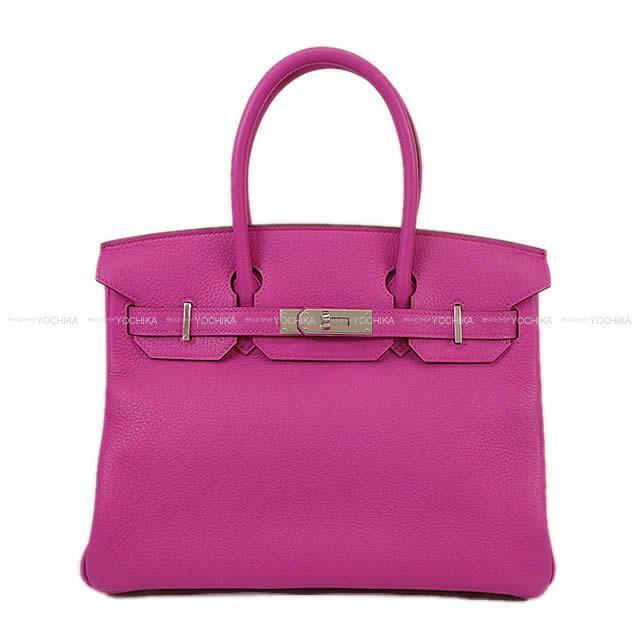 Birkin, which captures the ladies of the whole world, has arrived! The color is New Year's Magnolia in 2018! With vivid bitter pink combining elegance and glamor, you will definitely make a splendid addition to any scene. Whichever age group has, it is a color you feel very attractive! The material is a Taurillon Clemence that can enjoy a crisp feel. Even if you use it every day, scratches and dirt are less noticeable material. In addition, compatibility with silver hardware fittings is perfect and makes elegance complement. Easy to use 30 cm size, it will be exactly one living thing bag! Please take this opportunity!